Annotation: The project 3D Visualization of Spatial Data is loosely related to the Medigrid project, which goal was to create a system of web services for running the simulations of environmental disasters; and to the project of simulation of forest fires in Slovakia. The goal of the project is to utilise the data and outcomes of simulations obtained in the forementioned projects for creation of three-dimensional models of natural disasters (floods, forest fires, soil erosion, and landslides). An agreed upon requirement was the models shall be capable of being displayed both on an ordinary PC and in the Virutal Reality devices (e.g., CAVE). Annotation: Complex systems diagnostics, and particulaly the techological diagnostics, is established area in the scientific and applied research with proved presence in the modern production predicting management. As a typically interdisciplinary field diagnostics absorbs and integrates the achievements of a serie of quickly developing scientific and applied research areas – as mechanics, fluid dynamics, control theory, probability theory, artificial intelligence, sensor techniques, computer networks and systems, signal processing etc. A significant interest arises to new intelligent agent-based approaches for diagnostics of technological systems. These approaches turn to be efficient in anticipating failures in the systems and preventig them what saves serious financial and technical resources. The purpose of the project is to investigate the existing state and to synthesize new methods and algorithms for intelligent diagnostics of sophisticated technological systems. Annotation: Intelligent agents, their beliefs, desires, intentions and cooperation between them represent a rapidly developing field, so an outcome as applications to different fields of science and information technologies are expected. The project has a tendency to contribute on this way. Annotation: The aim of the project is to study the analysis of various contemporary paradigms from the area of artificial intelligence and intelligent systems. In this sense, it is of particular interest to research the plethora of techniques for deduction, reasoning and decision making under indeterminacy or uncertainty, based on intelligent systems and their extensions and modifications. A major emphasis in the present project will be the latest researche of members of the Bulgarian team with respect of the possibilities for building new intelligent approaches for analysis. In application aspect, as a consequence of these theoretical researche, we can outline one of the leading directions of research in the field of intelligent systems, related to launching of new development of existing techniques of predictive model control. It represents a modern kind of management of complex business and production systems, functioning under conditions of uncertainty and dynamically changing parameters of the environment, and characterized by one or more of the following features: high degree of risk, parallelism, distribution, resource competition, etc. Solving such complex applied problems requires analysis, synthesis and development of original multi-model approaches to predictive diagnostics based on analytical and experimental models, using knowledge based methods from the area of intelligent systems. Annotation: The project is aimed at the joint research in the area of digital circuit design for testability and for low power advanced IC fabrication technologies. The project goal profits from two IP (Intellectual Property) digital cores designed in CMOS 90 nm technology. The first core design implements MDCT algorithm for digital signal processing systems. The second one is a general purpose processor for low power applications. Design optimization concerned MDCT core power consumption and performance will be based on low power design techniques in DSM technologies. Development and implementation of various testing techniques for a designed processor will be based on its structure and functional units. Annotation: The project is aimed to joint research in the field of digital circuit design and test using advanced design methods and testability techniques for their integration into reconfigurable System on Chip (SoC) architectures. The project goal is to design and implement an efficient methodology for developing testable digital cores suitable for complex SoCs. The proposed methods and techniques will be used in the university education process. The efficiency of the test techniques is classified by the fault coverage therefore the testability techniques will be targeted to covering as much defects as possible based on a defect analysis of the selected CMOS technology. Annotation: Modern scientific problems require significant computing resources, so the problem of resources optimization in multiprocessor environments is very important. We will focus on cloud systems as one of the most recent and promising fields of high-performance computing. Cloud computing systems operate in complex heterogeneous environments. It is common to have a single physical server with many simultaneous programs from different users competing for computing and network resources. In most cases, especially for public cloud, the user is unable to control the distribution of resources.The allocation algorithms may contain defects and inefficiency and this can lead to a significant increase in processing time, that is why cloud computing require efficient algorithms providing flexible and stable allocation of resources. The problem is in unfair and uneven access to resources, caused by heterogeneity of users and their tasks where each user is rational agent that tries to increase its share of resources. This could bring the system to the inefficient equilibrium., so a key element of cloud systems are efficient algorithms for load distribution – schedulers and brokers, providing services to users.The idea of this project is to apply game-theoretic approach to the problem of scheduling and allocation of computing resources in dynamic heterogeneous environment with many competitive users and provide software tools based on game-theoretic construction.Another idea of the project is an optimization approach that respects the requirements of end-users. This task will be modelled as a multi-criteria optimization problem. Each objective of the optimization will be associated with a weight. The weight will express the priority of the optimization objective. This way of the optimization will enable the end-users to adjust it to their needs. The problem will be sorted out in a general way so the solution will support various cloud providers.The project continues the previous cooperation of our Institute in constructing adaptive methods for programming high-performance computing on heterogeneous multiprocessor systems. Annotation: The project is aimed at the research of non-verbal speech gestures. The basic set of these gestures in current spoken Slovak is to be defined In the course of the project. This set will be investigated in relation to other modalities (text, lexical speech gestures, static video representation – picture/photo, and dynamic video representation – video/film. )The research will also include comparative studies in multi-cultural context. For the main goals we have chosen the research on these gestures in Slovak-Hungarian language pair (diametrically different languages, very close cultural and historical context), and Slovak-Japanese (diametrically different languages). The expected results will be both theoretical, with a new contribution to the knowledge on speech communication including sound speech gestures, and on their relation to text and video representations, as well as to the intercultural research in this area.The results will be applied practically in the expressive speech synthesis and the expressive speech recognition. CSG Modelling is part of almost all CAD-systems for the modelling of solid state matter. Numerous theoretical investigations and implementations have been carried out. Besides its advantages CGS models need still to be modified into envelope representations for many applications. Parametrizing and real time capabilities are getting lost by this process. The Modelling will be made capable of real time by focussing on a subset of CSG Models. Generic storage in databases will be established by using appropriate canonization of representations. Deductive retrieval of variants will be eased substantially. Annotation: The project is oriented on research of distributed intelligent and knowledge oriented control systems with strong emphasis on manufacturing and production systems and applications in all levels of enterprise control. The distributed intelligent control systems means a set of embedded control systems using knowledge base, and artificial intelligence technology together with approaches of the classic theory of control focused on special applications, such as production processes, supply chains, economic processes, environmental and social processes. Research in the field of distributed intelligent control systems is focussed on using web services and web application. Web services technology enable to develop an integrated infrastructure that allows e.g. supply chain partners to connect simulations of their facilities over the Internet. Data specifications are needed to identify the types of information that will need to be exchanged between different suppliers models, manufacturing applications, and databases. Web-based solutions will enable the integration at the supply-chain, enterprise, plant, and shop-floor levels. Annotation: The project is targeted to the self-testing techniques for digital systems and their applicability to logic circuits and memories. The project topics were solved in both institutions based on mobility of PhD students and young scientists during 3 project years. Annotation: The project goal is the development of method for patterning of nano-structures at nano-meter dimensions and improvement of the technology for electron beam lithography, improvement of the models and computer simulation tools. The application is focused on sensor development. The final aim is to use research results for exposures of patterns at the dimensions region below 100 nm. The aims of the collaboration are – common results obtaining (using expensive facilities in the II-SAS, simulation tools in the IE-BAS, accumulated teams’ experience); their presentation, establishment and recognition (common publications, conference attendances, join seminars, join international project); successful continuation, strengthening and broadening of our collaboration, including young scientists and PhD students. Annotation: The object of the project is organisation of the 11th international Workshop on Design and Diagnostics of Electronic Circuits and Systems that takes place annually in V4 countries. In April 2008 it will be organised in Bratislava. with the emphasis to enable a higher participation of prospective paper authors, mainly students, from universities, research institutions and industrial companies in V4 countries. 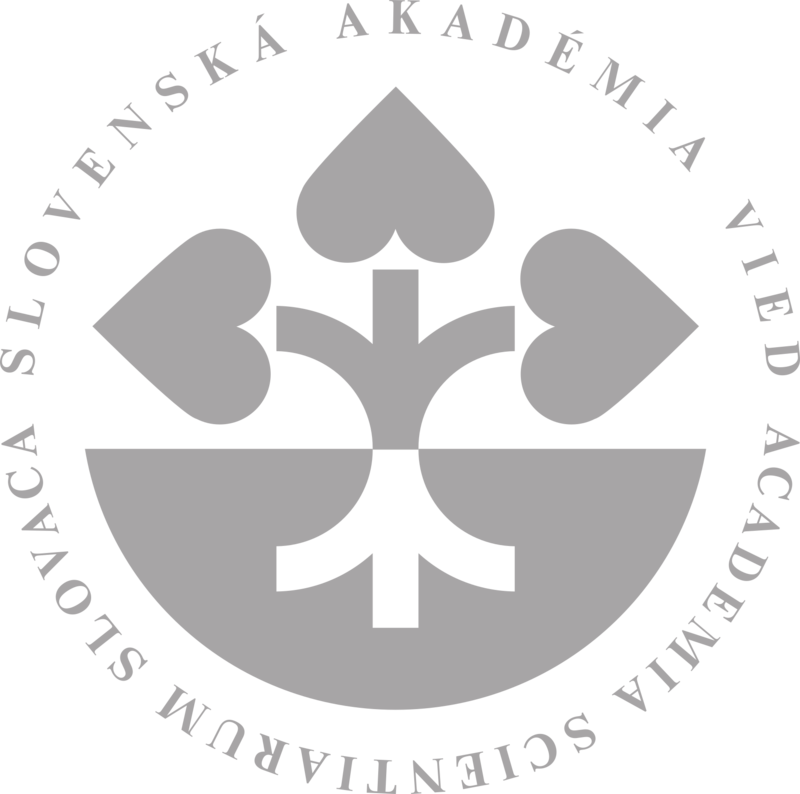 The organiser is the Institute of Informatics of SAS in close cooperation with partners from Czech, Hungarian and Polish universities. Zvýšenie aplikovateľnosti prírodou inšpirovaných optimalizačných metód prepájaním teórie a praxe. Annotation: The main objective of the COST Action is to bridge this gap and improve the applicability of all kinds of nature-inspired optimisation methods. It aims at making theoretical insights more accessible and practical by creating a platform where theoreticians and practitioners can meet and exchange insights, ideas and needs; by developing robust guidelines and practical support for application development based on theoretical insights; by developing theoretical frameworks driven by actual needs arising from practical applications; by training Early Career Investigators in a theory of nature-inspired optimisation methods that clearly aims at practical applications; by broadening participation in the ongoing research of how to develop and apply robust nature-inspired optimisation methods in different application areas.